Regulators won’t let utilities slash payments to solar-equipped customers. But there are changes coming for rooftop systems. California regulators have proposed a future net metering regime that will preserve retail payments for residential rooftop PV. However, the proposal would add new interconnection costs and non-bypassable charges to distributed solar systems, while also imposing new minimum bill requirements and time-of-use rates that could complicate the solar value proposition. Tuesday’s proposed decision from the California Public Utilities Commission comes after years of debate and uncertainty over the state’s solar future. A 2013 state law, AB 327, ordered the CPUC to create a successor program to the existing net-metering program, which is close to expiring as the state’s big investor-owned utilities approach their 5 percent caps. AB 327 also required the CPUC to come up with new ways to value the costs and benefits of net-metered solar. 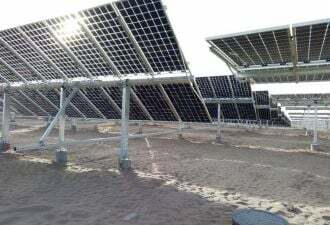 That includes figuring out the costs of maintaining the grid when so many distributed solar systems are connected. The biggest dispute has been over what rate to pay net-metered customers. Today, they’re paid at retail rates. Many solar advocates think it's a simple and fair form of compensation that shouldn't be changed. But utilities Pacific Gas & Electric, Southern California Edison and San Diego Gas & Electric asked the CPUC for big cuts, with proposals ranging from roughly half the going retail rate, to as low as a few cents per kilowatt-hour. Tuesday’s proposed decision, however, specifically declines to “impose any demand charges, grid access charges, installed capacity fees, standby fees, or similar fixed charges on NEM residential customers,” while the commission continues to evaluate the need for them. That’s a big victory for the solar industry, which has fought hard for keeping the retail rate. Utilities reacted negatively to the CPUC proposal, which is open for public comments until Jan. 7, and could be voted on by the full commission as early as Jan. 28. In a prepared statement, SDG&E said the decision "fails to recognize what consumer advocates and the utilities have already confirmed: we need to continue to support the growth of solar energy AND new rooftop solar rules that don’t require non-solar customers to pay over $160 million additional per year." PG&E's noted that existing incentives for rooftop solar will increase bills for non-solar customers by $45 monthly by 2025, if left in place. "Under these dated rules, rooftop solar users can effectively pay nothing for their use of the grid to both buy and sell electricity," the utility stated. But solar industry groups applauded the decision. 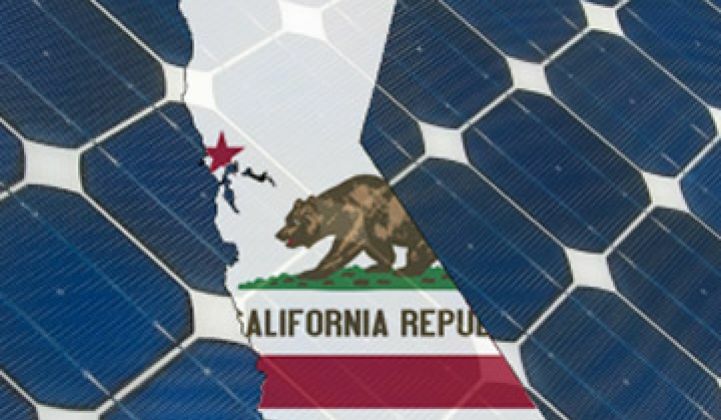 “Governor Brown’s PUC is standing up for clean power and for customers by proposing to reject the utilities’ attempts to make solar out of reach for customers,” said Bernadette Del Chiaro, executive director of state solar industry association CalSEIA, in a Tuesday statement. ● Non-bypassable charges that all utility customers pay. Non-bypassable charges are used to fund low-income and efficiency programs. They are the equivalent of approximately 2-3 cents per kilowatt-hour of energy consumed. Historically, NEM customers have only paid for non-bypassable charges if, over the course of a year, they consumed more electricity from the grid than their installation produced. The proposed decision finds that NEM successor customers should pay for non-bypassable charges on all energy they consume from the grid, regardless of the amount of energy they have exported to the grid. Solar industry groups such as the Solar Energy Industries Association, CalSEIA and The Alliance for Solar Choice have argued against these charges. But the CPUC determined that they’re reasonable steps to ensure fair cost-sharing between net-metered customers and everyone else. “The PD [proposed decision] represents a balancing of the requirements to ensure sustainable growth with ensuring that customers pay their appropriate share of costs,” said Shannon O’Rourke, a lead analyst at CPUC’s customer generation program, in a Tuesday interview. In practical terms, $150 is a small -- but not insignificant -- increase to installation costs. Subtracting 2 to 3 cents from each kilowatt-hour of net-metered solar will have a direct impact on payback for rooftop PV owners and aggregators. That could encourage new net-metered systems to focus more on maximizing the amount of power they self-generate, rather than on exporting grid energy, since “you don’t pay non-bypassable charges for anything you self-provide,” said O’Rourke. Minimum monthly bills, which are part of the residential rate reform package the CPUC passed earlier this year, will also hurt the bottom line for net-metered solar, since they represent costs that can’t be spun backwards. The biggest unknown, however, comes with the stipulation that all new net-metered customers will be signed up for time-of-use (TOU) rates starting in 2018. In the past, TOU rates have focused on charging more for power during hot summer weekday afternoons. But the rise of solar power is causing disruptions in these predictable peaks and troughs, which will require flexibility for the state’s new TOU rates. That, in turn, could be a potential upside for solar systems that are linked to batteries, smart thermostats, or other behind-the-meter resources that can manage demand as well as supply, O’Rourke said. In other highlights, big solar systems also get a chance at net metering, with eligibility extended to projects bigger than 1 megawatt, as long as they can pay the commensurate interconnection and upgrade fees. And the CPUC plans to develop an alternative tariff to support disadvantaged communities and low-income customers, including a neighborhood “virtual” net metering program. Finally, the CPUC has proposed revisiting its policies in 2019, with an eye on incorporating data on two big distributed energy proceedings it has underway -- its distribution resources plan and integrated distributed energy resources proceedings. “What the PD really acknowledges is, we have a good idea of what the costs are, but we don’t have a good idea of all the benefits it could provide,” O’Rourke said. Those two proceedings will help fill in that blank, which could allow for significant changes later this decade.